There are some incredible Great Ocean Road Restaurants with a view and here are three of the best. The Lorne Beach Pavilion is located just a few steps from the sand of the curving Louttit Bay. It’s right in the heart of Lorne town which means you can easily walk there from your hotel or campsite. Lorne is the perfect town for a weekend away as its close to everything you need to have fun. 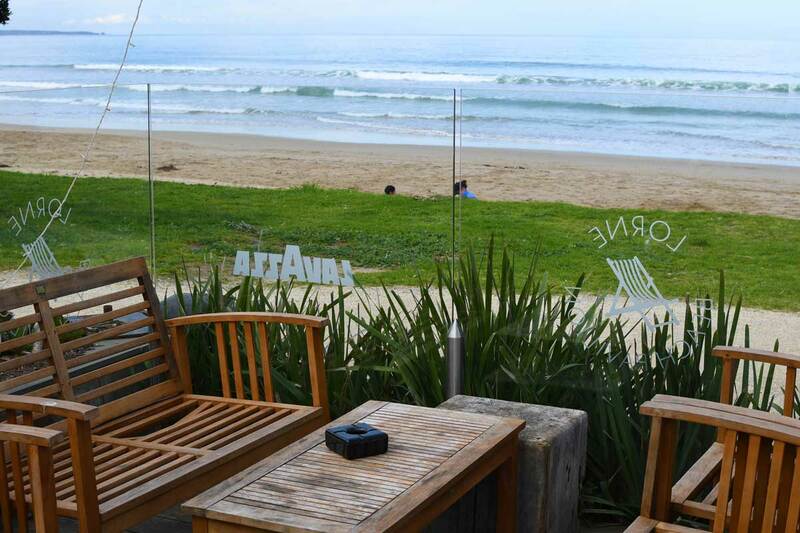 It has several Great Ocean Road restaurants with a view and is close to rainforest, waterfalls and beautiful beaches. Check out happy hour in the Beach Pavilions courtyard on a sunny afternoon between 3-5pm for the best value drinks! Alternatively enjoy view the beautiful indoor restaurant on wild winter days. Perched on top of the Anglesea Cliffs, Captain Moonlight looks over the dramatic sand dunes and cliffs of the Victorian coastline. 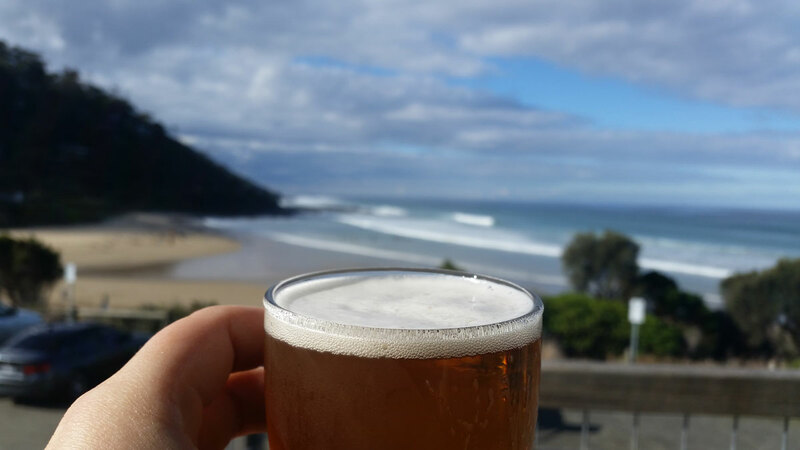 Just a short stroll from town along beach, it boasts one of the most expansive beer views on the Great Ocean Road. The building is also home to the Anglesea Surf Life Saving club and the newly opened Captain Moonlight (formerly the Deck Cafe) advertises a European menu. The Wye Beach Hotel, an old favourite with locals, is popular not only for the views but it still holds true to its small town feel. The hotel overlooks a small but picturesque bay where the Wye River meets the rockpool clad beach. It has floor to ceiling windows and a long balcony so your can enjoy the view from nearly every table. While the Hotel retains is very relaxed beach side feel, the menu is brimming with good wines and local craft beers and the food decidedly better than your average pub.